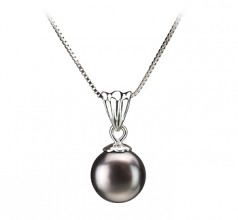 The Black Freshwater Pearl and Sterling Silver Pendant and necklace set create an exciting attraction as it lies gently around your neck. 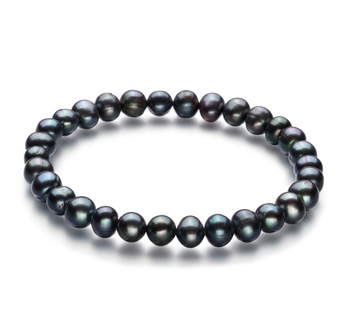 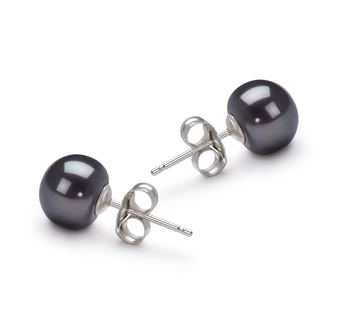 The near perfect AAA of the button-shaped design of the black pearl plays nicely with its perfect AAAA luster, and Nacre. 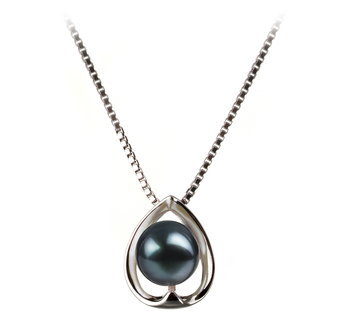 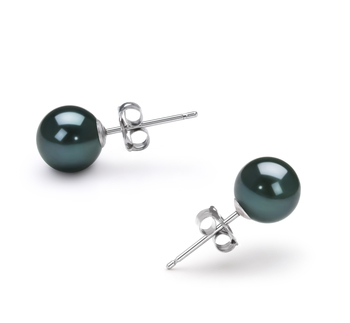 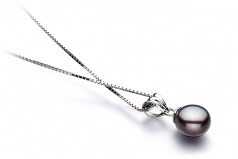 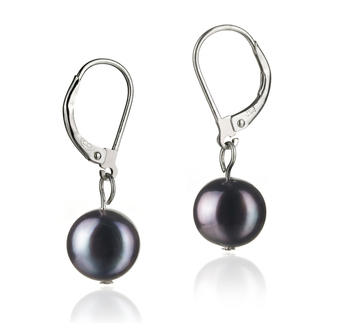 Together, they work to create a magnificent show of sparkling delight with the various blues, greens, and purples that come shining through within each large 9-10mm dyed black pearl as it sits so elegantly under its .925 Sterling Silver Sea Shell Pendant cap. 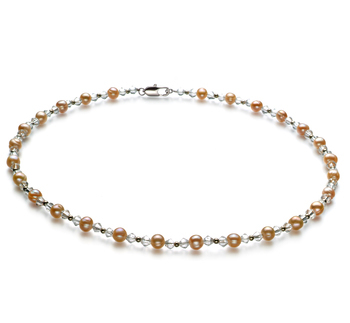 Each twist and turn of the sparkling pearl bring forth another dimension of shimmering delight each time you wear it in public.